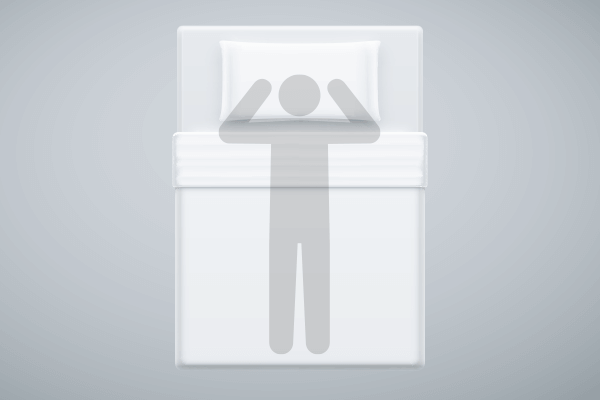 See how sleep positions and mattress choices can influence and improve nighttime back pain, and why managing pain is important for healthy rest. If you experience frequent back pain, you aren’t alone. The American Chiropractic Association estimates that 31 million Americans are experiencing back pain at any one time, and that up to 80% of us will endure back pain at some point in our lives. With the intersection of so many muscles, joints, bones and ligaments, back pain is a diverse condition with many different causes. From poor posture to tense muscles, genetic disc issues to arthritis, overdoing it at the gym to obesity, and even pregnancy to psychological stress, the reasons people experience back pain prove quite varied. But, while it’s a common condition, that doesn’t mean it’s an insignificant one. Back pain can have enormous individual costs, affecting productivity, mood, enjoyment of life and more. One area of life where back pain can have a significant effect is sleep. Pain can make it difficult to relax and get comfortable at night. This often translates to less overall rest and poorer quality sleep, which can actually further exacerbate this pain. In this article, we’re going to be taking an in-depth look at the impact of back pain and how to minimize its effects on sleep and waking life. From temporary, acute pain to debilitating chronic conditions, the term “back pain” can be quite broad. It can be attributed to many different causes and can vary in intensity, but the scope and effect of back pain can be quite significant when it strikes. Before we get into the specifics of sleep and pain, here’s a look at where back pain comes from and how it can affect life for those who have it. Back pain can affect pretty much anyone at anytime. However, a few traits are linked with higher risk. Older adults (over 30 years) and women are more likely to experience back pain. People who are overweight or obese, and people with a sedentary lifestyle and poor fitness levels have higher rates of back pain. Physically strenuous work that involves a lot of lifting, pushing or pulling creates greater risk of injury or strain. Other occupational risks include extending sitting (such as at a desk or driving) with poor posture, and even mentally stressful work. Smoking is another potential risk that might not be so obvious. Data suggests smokers are more prone to back pain for a couple reasons – nutrients may not be able to reach the back where they’re needed, coughing can cause strain, and smokers are slower to heal from injury. Other factors also increase the odds of back pain, such as pregnancy, strenuous exercise, anxiety and depression, and certain hereditary conditions. Strain is the most common reason for back pain, affecting muscles and ligaments. 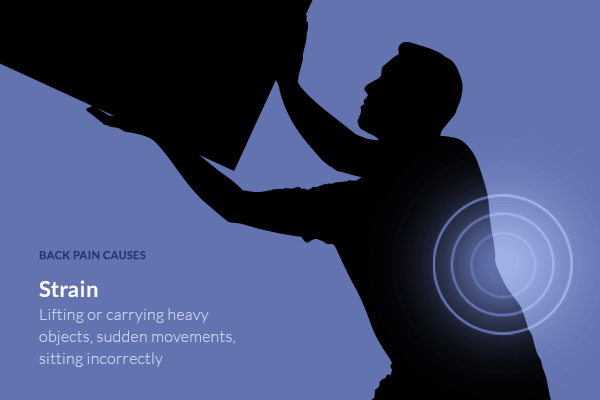 Improperly lifting or pulling things and lifting or carrying heavy objects are common ways muscles become strained. Sudden movements, such as getting out of bed or cars awkwardly or falling, can trigger pain. Bending, standing, hunching over a desk or driving for extended periods of time also causes muscle tension and strain. 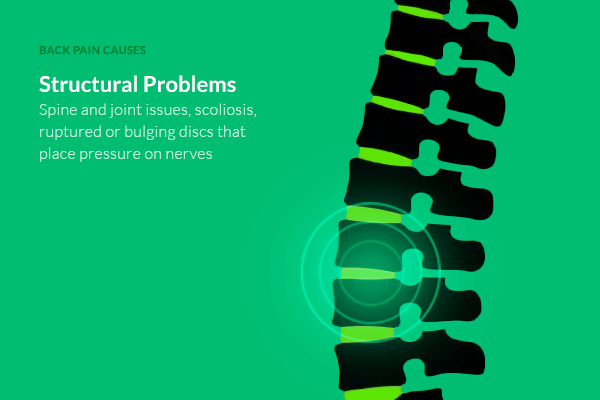 Structural problems relate to the spine and joints, accounting for many cases of back pain. Discs that sit between and cushion spinal vertebrae can rupture or bulge, placing pressure on nerves and causing things like sciatica. Scoliosis and other conditions that cause the spine to have abnormal curvature can make pain more likely. Arthritis and osteoporosis may also affect the spine and result in back pain. Internally, certain conditions can cause back pain as a symptom. Spinal infections create pain along the spinal nerve, and shingles can also cause nerve pain. 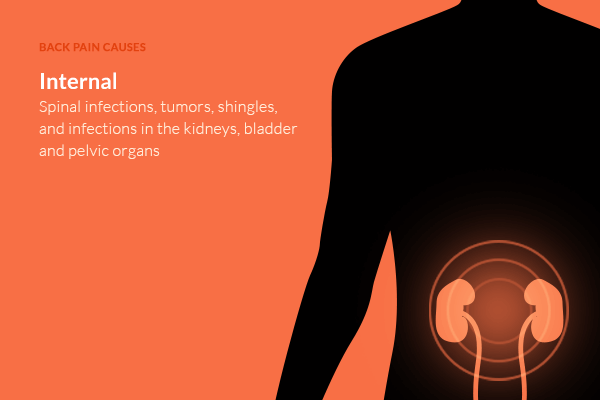 Infections in the kidneys, bladder and pelvic organs, and tumors on or near the spine are other possible internal causes. Psychological factors are believed to play a role in certain cases of back pain. There are genetic differences in pain sensitivity and attention that can make pain feel more intense. Low mood, stress and catastrophizing can also alter pain tolerance. It’s believed that long-term pain may affect the central nervous system pathways, contributing to chronic pain conditions. External conditions are another potential back pain trigger. Chairs and workstations that don’t support good posture can increase pain via slouching and hunching. Mattresses that lack adequate support to keep the spine straight may also result in strain and tension. Seeking relief, Americans spend over $50 billion (with healthcare costs estimated over $190 billion) each year just on lower back pain. It’s the second most common reason people miss work, third most common reason for surgeries, and fifth most common cause of hospitalization, and it’s responsible for 20% of doctor visits as well. Two 2014 studies suggest back pain is the leading cause of disability worldwide. Pain can also affect sleep. A 2014 Korean study of people with chronic lower back pain found that 32% of respondents experienced sleep disturbances due to pain, with those experiencing more pain reporting a higher amount of disturbances. 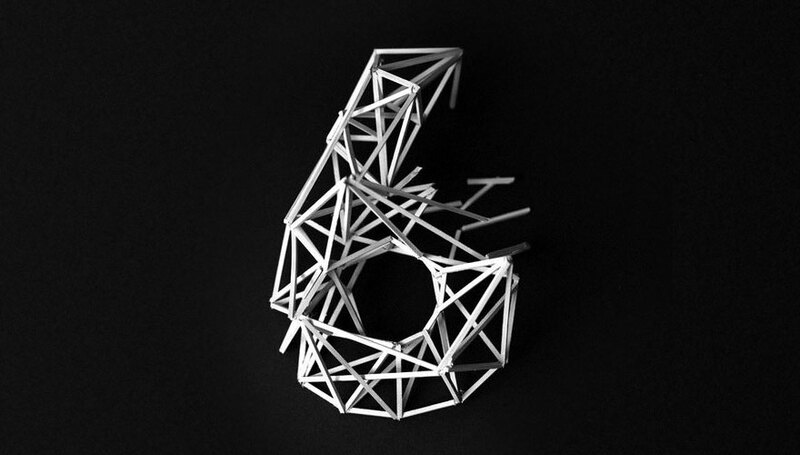 A previous Australian study looking at both acute and chronic back pain found that 58% of people reported disturbed sleep due to pain. In a study of back pain triage in the UK, 44% of people that came to a clinic reported pain at night. Of that group, 42% experience back pain every night. Their research identified that people experiencing nighttime back pain averaged less than five hours of sleep, awoke multiple times during the night, and reported their pain scores higher than people without nighttime pain. Other research also finds that missing out on sleep can worsen pain — meaning not only does back pain make it harder to get rest, but not getting enough sleep can make pain feel worse. Offering potential insight, one recently published study from the journal PAIN showed that missing out on rest may increase perception of pain by decreasing pain tolerance. People who experienced more pain reported less overall sleep and poorer quality sleep. People with pain were more susceptible to disturbances like light, noise and mattress comfort. People with chronic pain were more likely to say sleep difficulties interfered with work, mood, activities, relationships and life enjoyment. People with pain who said they made getting sleep a priority did in fact get more sleep than less motivated peers. 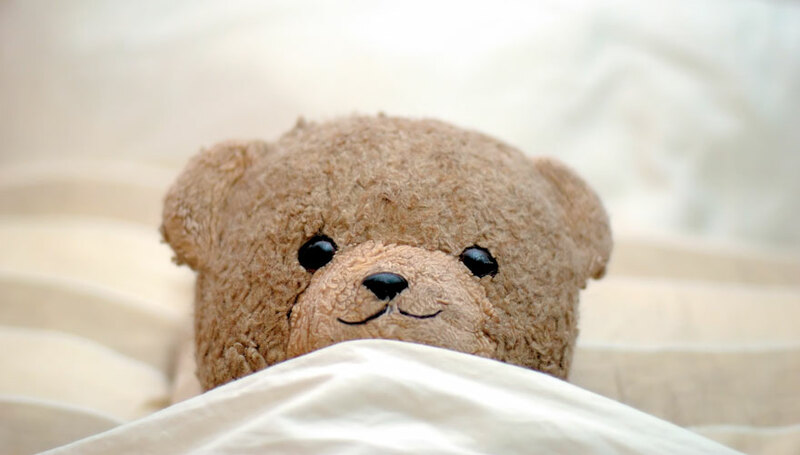 Missing out on sleep can have wide ranging effects when it happens often. Chronic partial sleep deprivation is associated with cognitive impairments and worse moods, more anxiety and depression, more dangerous driving, as well as greater risk of diseases like obesity, heart disease, Type 2 diabetes, Alzheimer’s disease and more. All things considered, back pain is no small problem either for individuals who suffer from it or on a societal level. It can affect a person’s performance at work and their earning potential. It can affect relationships with family members and friends. It can affect life enjoyment in the short and long term, and create a costly healthcare burden. While managing back pain can prove complicated, there are a few lifestyle factors that can prevent or help reduce pain, such as being mindful of how you move during the day and how you sleep at night. If pain is significantly affecting your daily life, if you’ve experienced an injury or fall, if you have numbness or tingling, or if you begin having bladder or bowel control trouble it’s important to consult with your doctor. While back pain has a multitude of causes, there are certain things that can be done to help minimize the effects at night. Ensuring your sleep position is properly supporting your back, choosing a good mattress, and engaging in healthy lifestyle habits all play a role. Don’t twist your back or make rapid jerking motions. Get in bed by sitting on the edge the mattress. Supporting yourself with your hands, bend your knees and lay on your side. Then adjust your position as needed. 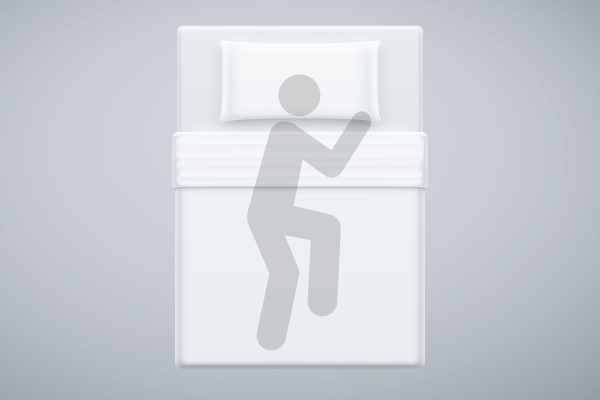 Get out of bed by rolling on your side (facing the edge of the mattress) and bend in your knees. Supporting yourself with your hands, carefully swing your legs to the floor and stand up straight. Get up from the seated position. How you sleep plays an important role in managing back pain, as certain positions place more strain on the back than others. Generally, back sleeping and supported side sleeping are regarded as most ergonomic, while stomach sleeping tends to be most associated with pain. Whichever position you prefer, here are tips for staying comfortable. Side sleeping is the most common position, especially among women. While it can place some strain on the body, ensuring your hips and shoulders are supported can make it comfortable. Ideally, side sleepers should bend both knees in slightly and place a small pillow between their legs to prevent hips from twisting and placing stress on the back. If your legs are too straight, this can exaggerate the curve of your lower back, but if your legs are drawn in too tightly, your back may round — and both can cause pain. 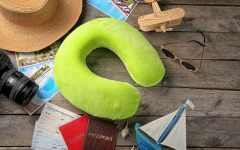 Your neck pillow should be the right height to keep your neck and spine straight and even, generally higher than pillows needed for back sleepers. Your chin shouldn’t be drawn in to your chest or leaned too far back. Think natural standing position. Conditions that may see more relief from proper side sleeping include osteoarthritis, spinal stenosis and foraminal herniated disc, as the position can reduce pressure on spinal joints. Back sleeping is typically what you’ll see recommended as the ideal position for back health. It’s the second most common sleep position, and with a good mattress, sleeping on your back supports a neutral neck and spine position. To optimize comfort and support, there are a couple modifications you can make. Placing a small pillow or towel beneath your knees reduces strain and tension on the lower back and hips by creating a more natural spinal curve. Legs should ideally be positioned straight out (not kicked off to the side or spread too wide, which can strain the pelvis and hip joints). Other people may feel a small pillow under the lumbar region lends additional helpful support. Bed pillows should support the natural angle of the neck, not push your chin to your chest or allow your head to fall back too far. The semi-fowler position, in which the head and foot are both elevated, is often recommended for lower back pain, especially the type that feels worse when you stand up straight. A reclining chair or adjustable bed can allow you to achieve this position. Sleeping on your stomach is considered least ideal for pain relief, since the lumbar region is left unsupported, placing strain on your spine and lower back muscles. This position can also place strain on your neck and shoulders. “Sleeping on your stomach is the absolute worst sleep posture, placing enormous stress on the lower back causing the spinal joints to compress,” said Dr. Scott Duke, an NYC based Chiropractic Sports Physician and the author of Back in Action. Use props to to support the spine, whether on your back or side, he added. To better support your body, place a pillow under your pelvis and lumbar region. At your head, use a flat pillow or no pillow so as not to strain your lower back. There are two situations where stomach sleeping is actually recommended, though. People with degenerative disc disease and paracentral disc herniation may feel more relief laying on their stomachs since it can reduce disc pressure compared to other positions. A firm mattress with a pillow beneath the abdomen is considered best. We spend one-third of each day in bed, meaning your mattress and how you sleep is just as important as focusing on posture in the daytime hours. Since sleep is a time for healing and renewal, it may arguably be even more important. So, which mattress is best for a bad back? It’s an important, often-asked question. But, there is no single right answer. When it comes to picking a bed, there are no hard and fast rules that will apply for every person, every time. Essentially, the best mattress is the one that you feel gives you good, refreshing sleep with minimal pain and stiffness. 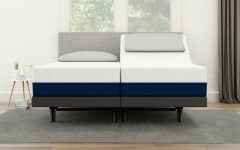 While we all have different preferences and needs that are important to consider, research and studies can shed some insight on different mattress traits and how they may interact with back pain. At their most basic, beds do two things: provide support and comfort. Support comes from the core of the mattress, typically a sturdy foam layer or innersprings depending on the type of bed. A supportive mattress will have enough firmness to keep your spine aligned, meaning your heavier areas like hips and shoulders won’t sink too far into the bed. On the other hand, it shouldn’t be so firm that it forces hips and shoulders up at an awkward angle either. Comfort speaks more to a bed’s ability to prevent pressure points and pain. Although preferences for the firmness and thickness of padding layers will vary, a good mattress will adequately cushion areas like hips, shoulders, elbows and heels from pain in your preferred sleep position — without compromising the support of the mattress. Now, comfort is pretty easy to identify, but how do you know if a mattress is providing adequate support? Essentially, your spine should maintain an even, natural posture (similar to good standing posture), with whichever sleep position you prefer. For side sleepers, your spine should be straight from your neck to your tailbone, and parallel with the floor. If your hips and shoulders tilt upwards (think smiley face), the mattress is likely too firm or lacks an adequate comfort layer. If your hips and shoulders sink downward (think frown face), your mattress is not supportive enough, or perhaps the comfort layers are too soft. For back sleepers, your back should maintain a neutral curve that mimics standing. Ideally, your neck should rest at a neutral angle to your shoulders, and your shoulders, hips and heels should feel pretty straightly aligned. Your lumbar region should feel supported. If you notice a large gap beneath your back and your bed and feel pressure on your upper back and hips, the bed is likely too firm. If you feel like your hips and chest sink below your legs and arms or feel heel pressure, your mattress may be lacking support. For stomach sleepers, you also want to maintain a neutral curve similar to good upright posture (likely requiring use of a pillow below the hips). The mattress shouldn’t allow your torso to sink in too far, which could exaggerate your lower back curve and place stress on your hips. While firm support is good, a mattress without an adequate comfort layer could be painful for shoulders and sensitive areas. Mattress firmness is another area to consider. Generally, most experts recommend beds in the medium to firm spectrum for back pain. The American Chiropractic Association says medium is best, and studies have shown best back pain results with people sleeping on medium to medium-firm mattresses. It’s thought that beds in the medium/medium-firm range have enough support for the back while also providing enough cushion to minimize pressure points. But, it’s important to listen to what your body likes and prioritize that over general guidelines. Side sleepers, especially people with larger frames, may prefer beds closer to the medium or medium-soft range, or those that have thicker comfort layers, since more of the body sinks into the bed in the side position. On the other hand, beds on the firmer end of medium will typically feel more comfortable and supportive for back and side sleepers. Your personal comfort preference and health will also play a role. For example, beds in the firm to medium-firm range can be painful for people with conditions like bursitis or fibromyalgia, as they can lead to more pressure points. Think about the surfaces that you tend to get the best sleep on — do you prefer the cushy couch or recliner, the floor, a certain bed you’ve tried, or somewhere in between? And while firmness is often correlated with support, it’s important to note that firm beds can still be unsupportive in terms of alignment. Don’t forget to consider the quality of mattress materials, as this factors into a bed’s ability to provide long-term support and comfort as well. There are a fairly wide variety of mattress types on the market, but scientific studies on mattress types and back pain prove quite limited. 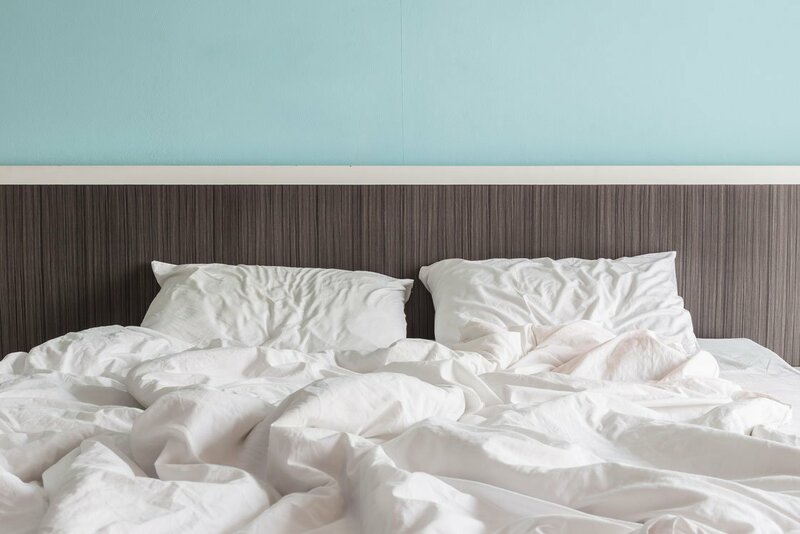 One of the few to compare types found that memory foam and waterbeds resulted in better sleep and less pain than firm futon-style mattresses. Since clinical data isn’t widely available, mattress reviews are one way to compare comfort and potential for back pain relief. 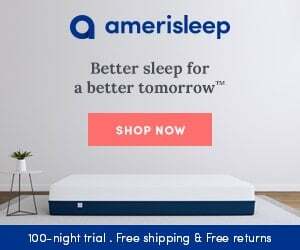 Mattress review organization Sleep Like The Dead finds that memory foam and latex mattresses earn above-average reviews for pain relief due to the combination of support and conformability, with less risk of sagging. More common innerspring mattresses tend to be below average on pain relief due to potential durability issues. These are averages however; within the categories there can be quite a bit of variation, and the best one for you will depend on individual preferences. When it comes to mattress types and back pain, the key thing to consider is the bed’s ability to provide long-term support and comfort for your needs. Always check into things like foam density or coil count/gauge, as these specifications will give you insight into how durable the bed will be — typically more so than price and warranties. Researching and comparing beds can take a little time, but the sooner a mattress starts sagging and losing support, the sooner it will stop feeling comfortable. Fabrics on the surface of the mattress can also play a role in overall comfort. The majority of beds use polyester blends, but some may use natural fabrics like cotton and wool. Cotton’s key benefit is excellent breathability, which keeps you cool. Wool is a natural thermoregulator, meaning it helps balance body temperature and may promote circulation, which can in turn reduce pain. Newer generations of “smart fabrics” are taking benefits even further. One clinical trial showed that mattress covers with Celliant, a type of fiber that converts body heat into infrared energy, helped reduce pain at night. 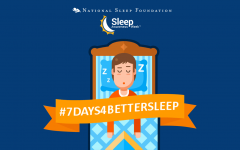 Participants also spent less time awake in bed (18.3 minutes), improved sleep efficiency by 2.6% and several reported subjective improvements in sleep quality. Celliant has also been shown to improve tissue oxygen levels by 10% to 24%, which may help speed recovery and reduce fatigue and swelling. The age of your mattress can play a surprising role in how it feels. 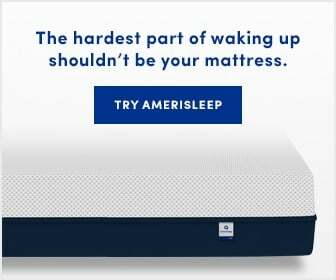 As time wears on, even the best mattress will eventually begin to lose comfort and support. Estimates vary quite a bit, but a quality mattress is generally expected to last about eight to ten years. Beds made with lower quality materials or that receive heavier wear may need to be replaced as soon as five years. In one study, researchers found that simply switching from an old mattress to a new one (a generic medium-firm bed) improved people’s ratings of back pain. People in the study were sleeping on a variety of beds at least five years old, and had an average mattress age of 9.5 years. Of those with back pain, 63% reported relief from the new mattress over four weeks. Improvements were also seen to sleep quality and efficiency. An important, and often overlooked, part of mattress comfort is the pillow. A poor fit can strain your neck and throw off alignment, contributing to back pain. Regardless of sleep position, a good pillow will conform to different movements and support a neutral spine, as described in the sleep positions section above. Stomach sleepers should generally look for higher-fill pillows or neck/contour style pillows. The pillow should support your neck, keeping a natural angle. A pillow that is too shallow can cause your head to bend inward, and may place strain on your shoulder. A pillow that is too high can cause tension in your neck. A body pillow is a favorite for many side sleepers, since it can be hugged to the chest to prevent shoulder pain caused by awkward arm positions, and placed between the knees to keep the spine straight. Back sleepers should generally look for medium fill pillows. If you sit up straight, this is the same angle that your pillow should provide when lying down. If your chin angled towards your chest, it’s too high; if your head falls back, it’s too low. Side sleepers should look for fairly thin pillows with just enough padding to cushion the face but not so thick that neck is forced backward. Consider quitting cigarettes if you smoke. Get regular low-impact aerobic exercise. Practice core strengthening and flexibility exercises. Yoga poses like cat-cow, child’s pose, and pigeon pose can be helpful, as can other forms of deep stretching. Warm up and stretch before exercise, and any other strenuous activity such as lifting, gardening or swimming. If you must lift something heavy, use your legs. Bend at the knees, keep your back straight and core muscles tight, and keep the object close to your body. When standing for long periods of time, reduce low back pressure by placing alternate feet on a low step or stool. Choose ergonomic seats that have good lumbar support (or use a cushion/towel), swivel motion and armrests. Keyboard height should keep elbows at a 90-degree angle. When sitting, ensure knees and hips are level and switch positions often. 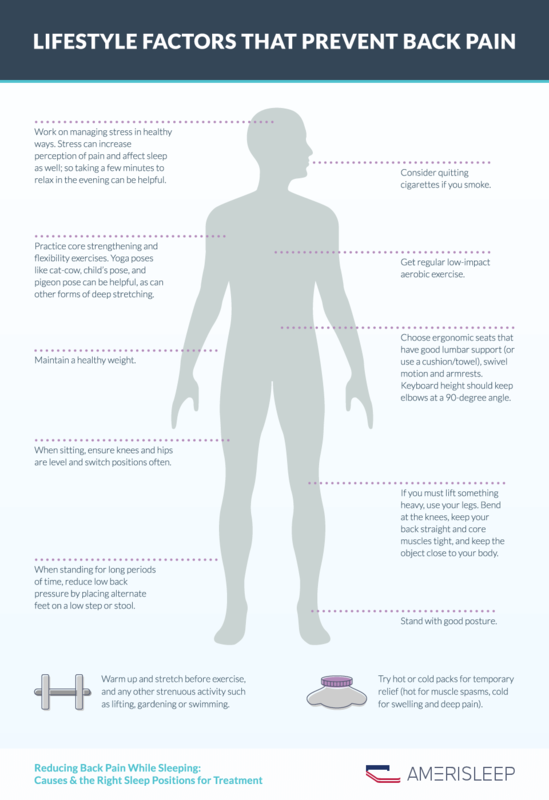 Work on managing stress in healthy ways. Stress can increase perception of pain and affect sleep as well; so taking a few minutes to relax in the evening can be helpful. Try hot or cold packs for temporary relief (hot for muscle spasms, cold for swelling and deep pain). Back pain is not a small or insignificant problem, but for many people the side effects and severity can be minimized with fairly simple changes to habits. Awareness of ideal sleep positions and the relationship between mattresses and backs are essential for keeping pain at bay during the night, and paying attention to posture and movements improves comfort throughout the day. What do you find helps reduce back pain most for you? 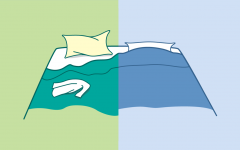 Do you notice differences between sleep positions?